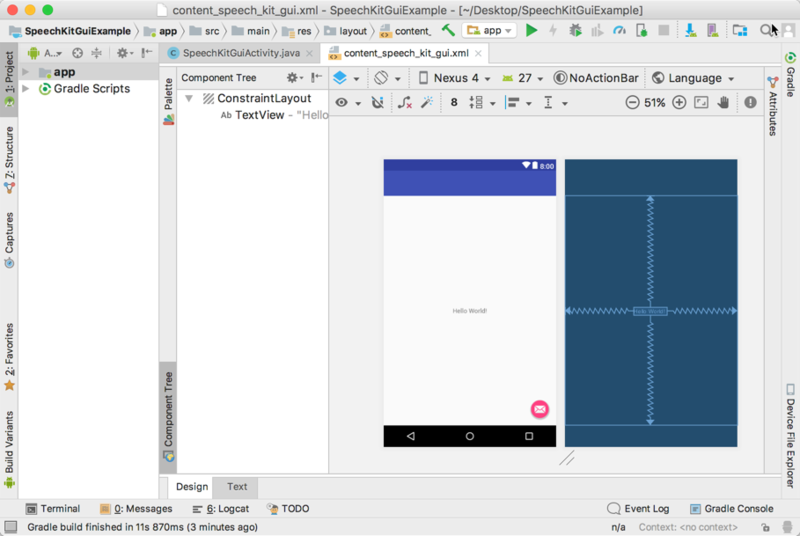 If you haven't used Android Studio on your computer yet and it shows the welcome screen, click Start a new Android Studio project. If Android Studio was already in use and you see the main window of the program, choose File → New → New Project in the menu. In the window that opens, enter the project name, domain, and directory where the project will be located. Click Next. In the Phone and Tablet section, select “API 14: Android 4.0 (IceCreamSandwich)” from the drop-down list. Click Next. Then choose “Basic Activity” and click Next. Enter a name for the Activity, then click Next and Finish. 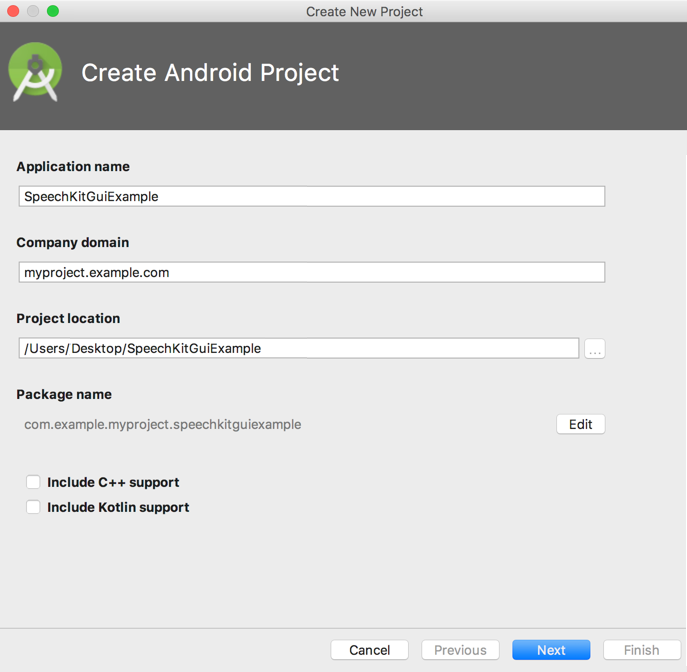 After this, Android Studio opens the newly created project. Open the project dependency management window: in the main menu, choose Build → Edit Libraries and Dependencies. You will see the project settings window with the Dependencies tab open. 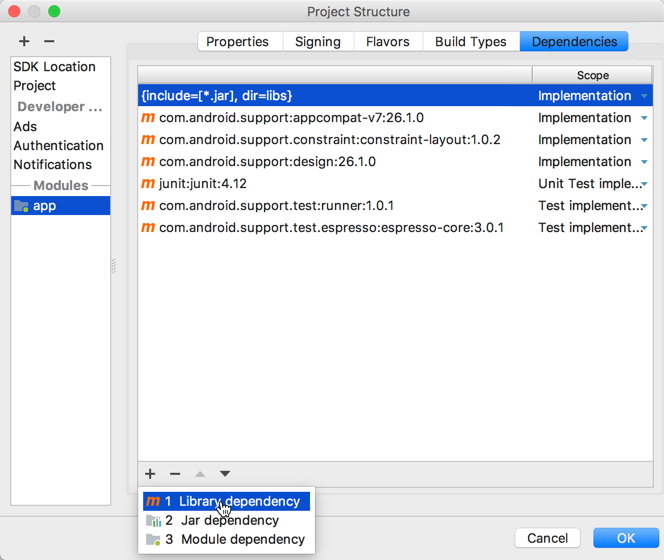 Click to the left of the list of dependencies and choose Library dependency in the menu. In the window that opens, enter the library name and version com.yandex.android: speechkit: 3.12.2. Click OK. The library appears in the list of project dependencies. Click OK again.